Team Associated RC8.2 Factory Team Kit is coming soon, ASC80906, all the new suspension for sure, what else will be new? that is what I have been waiting for!!!!! totally, but I'll take it at associated prices! Now I'm eagerly waiting again. Do you have an inside scoop, and if you get one early can you show us Forsyth northerners? JC tires, body, wing. Lower wing mount along with all of the Worlds parts. I'm sure there will be a few other suprises when it is officially announced. Looks good! 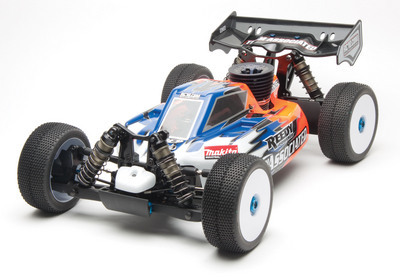 Pretty much looks like the only thing left from the original RC8B (As far as what gives the buggy its driving characteristics) will be the shocks, diffs and diff cases...lol. New arms, towers, chassis = new geometry....etc.